What is the Marine Conservation Science Institute? The Marine Conservation Science Institute (MCSI) is a nonprofit 501(c)(3) organization founded on the belief that focused research can make a difference in how we view and manage our marine resources. 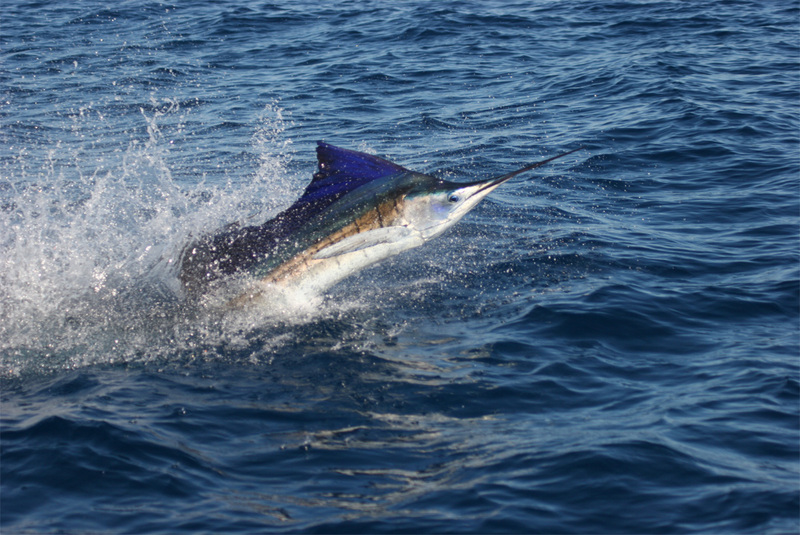 MCSI is committed to promoting important issues in marine biology and fisheries, and is currently involved in research projects around the globe dedicated to protecting and conserving marine resources. Beginning his career as a coral reef fish expert, Michael has dedicated his professional life to studying marine ecology and fish behavior. 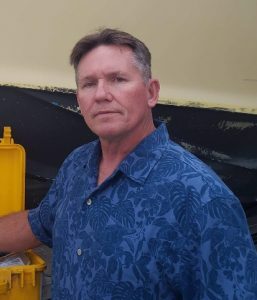 After completing post-doctorate work studying tropical groupers and snappers through a grant from the Caribbean Marine Research Center, he accepted a position as the leader of the California Department of Fish and Game’s Marine Sport Research Project. 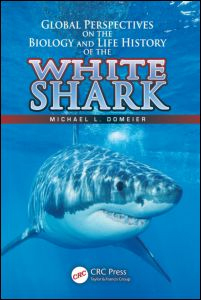 In 1996 Michael chose to leave government employment and began a successful career in the nonprofit marine research sector. Since that time he has helped found the Pfleger Institute of Environmental Research where he served as President for 11 years, the Society for the Conservation of Reef Fish Aggregations, and most recently the Marine Conservation Science Institute. Michael’s professional interests are diverse. He is renowned for his work with pelagic fishes (particularly billfish), white sharks, California coastal fishes and coral reef fishes. He has been a leader in the field of electronic tagging and enjoys working on both the engineering as well as the biological aspects of this field. On a personal level, he is married to a talented jewelry designer (www.amygracejewelry.com) and enjoys ocean activities like diving, surfing and fishing, but he also has a passion for birds. 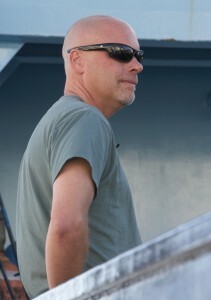 Michael is also a skilled airplane and boat pilot, having navigated both types of craft over very long distances. Nicole grew up around water near lakes in Minnesota, but was always drawn to the ocean. She got her open water SCUBA diving certification in the cold cloudy mining lakes of northern Minnesota, but quickly put those skills to use in the warm clear Caribbean waters while studying in the Turks and Caicos Islands, followed by working at a dive resort in Honduras. She pursued a graduate degree in marine resource management from Oregon State University and performed a groundfish habitat evaluation by integrating high-resolution sonar images with submersible transect observation data. She has also worked with the NMFS protected resources division, and was a Research Biologist with the Pfleger Institute of Environmental Research working with satellite tagging and acoustic tagging technologies to study marlin, white sharks, bluefin tuna, swordfish, manta rays, black sea bass, and white seabass. She is interested in the behavior, migration and habitat use of marine fishes and sharks as well as the management and conservation of marine life and their habitats. Keith Poe’s involvement with our research goes back decades. He first volunteered to help us put satellite tags into swordfish. A very inauspicious beginning since the first swordfish he managed to tag was then killed by a commercial harpoon boat just a few hours later! But as we began to put some research effort into White Sharks, Keith became even more interested in helping us since sharks are his #1 passion. Keith and Dr. Domeier worked together to develop safe methods for tagging White Sharks with SPOT tags, without lifting the sharks from the water. We tagged our first White Sharks using this method at Guadalupe Island in 2012. Since then we have tagged more sharks at Guadalupe, as well as a number of mature female White Sharks at a new hotspot we have identified off the Pt. Conception area. When we wanted to test out a new SPOT tag attachment method that uses only a single bolt, Keith was quick to suggest Mako Sharks, his personal favorite. Makos are much more abundant than White Sharks and they have a very tall, stiff dorsal fin. Keith deployed a number of our 1-Bolt SPOT tags on what we now call Mega Makos (huge, mature females)…proving the concept of our 1-Bolt attachment while gathering multi-year tracking data on Mako Sharks at the same time. Keith has become so integral to our continued work that it is with honor that we have changed his status from “volunteer” to a titled position at MCSI. The Marine Conservation Science Institute would not exist without the forward thinking and generous support of the Offield Family Foundation, the George T. Pfleger Foundation, and the Guy Harvey Ocean Foundation.